Nancy L. Adams, age 82, of Tomah formerly of Hancock passed away Monday, Jan. 28, 2019 at Mayo Clinic Health System in Sparta, WI. Nancy was born on June 23, 1936 in Hancock, Wisconsin, the daughter of Norman L. and Ida Mae (Wiley) Adams, the first granddaughter of Willard C. and Ida Minnie (Slife) Wiley and the first grandchild of Otis C. and Celia Anna (Barber) Adams. As a youth she tried out for and was accepted as a member of the Civic Chorus of Madison, Wisconsin. Music was a great part of her life, especially Classic Country and Southern Gospel by the Gaithers. She also bowled in several leagues and loved to dance. She had a gift of making people laugh and loved to laugh herself, and was always a friend and ready to help as she was a very giving person. She has loved and been loved by some very special people. She was Baptized in Bethel Lutheran Church, Madison, Wisconsin where she also taught Sunday School. Nancy retired from the Department of the Army Office of Human Resources, Fort McCoy, Wisconsin after 30 years of employment. After retirement she was encouraged to do family history research. During this time she found relatives she didn't know she had and many fascinating ancestors who fought in several wars and were instrumental in the founding of our country. With her three brothers also serving in the military in different branches she knew she wanted to give something back and what better way than as a volunteer at the VA Medical Center in Tomah, WI. where she provided over 10,000 hours of her time. In 2004 she applied for a Daughter of the American Revolution membership through her Fourth Great Grandfather Joel Adams Sr. who served during the Revolution beginning in April of 1775 with Cpt. Moses Adams' company. She subsequently was accepted into the LaCrosse-Rebecca Myrick Chapter of the DAR. She also became the DAR VAVS Representative at the Medical Center. In 2011 she received the Presidential Lifetime Achievement Award for Outstanding Service to Veterans, and was also recognized by the DAR and the American Legion Auxiliary for dedication to Veterans and for her many hours of service to the Tomah VAMC. Nancy is survived by her brothers Stephen Adams of Fairbanks Alaska, Richard Adams of Gladstone Michigan, and Arthur Adams of Wisconsin Rapids Wisconsin, and many loving friends. She was preceded in death by her parents, Norman L. and Ida Mae Adams and grandparents, Otis & Celia Adams and Willard and Ida Minnie Wiley. A Memorial service will be held in the spring at Leikness Funeral Home in Wautoma. She will be laid to rest next to her parents at the Hancock Cemetery. 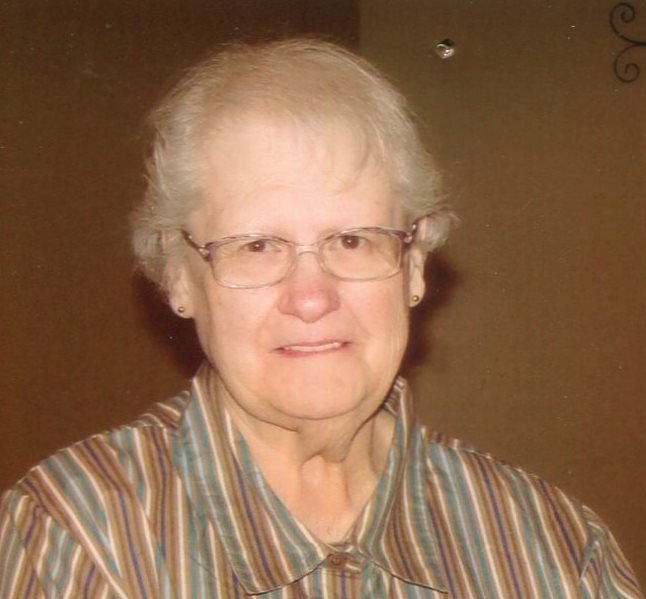 There's still time to send flowers to the Visitation at the Leikness Funeral Home from 12:00 PM to 1:00 PM on April 27, 2019.